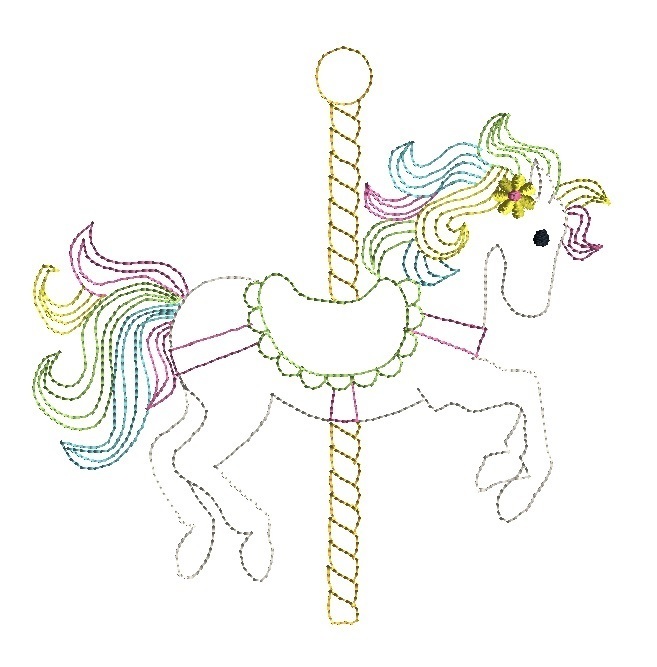 Carousel Horse Quick Stitch - 4 Sizes! A lively, colorful design for shirts, bags, linens and more. Please note that there will be jump stitches! Use your embroidery software to combine color segments as desired by you. Carousel Horse Applique - 3 Sizes! Mini Carousel - 3 Sizes! Mini Carnival Set, 4 Designs - 3 Sizes! Horseshoe with Flower Applique 3 Sizes! Finish Size 3.89" x 3.90"
Finish Size 5.99" x 6.00"